As I have said a fiesta in the Philippine context means to eat. So hearing statement like "Mamimyesta kami" has an understood universal meaning. If you don't get it, it is to eat or celebrate in somebody's house or place for free if the hosts invited you or there are some provinces where in you can literally gatecrash. 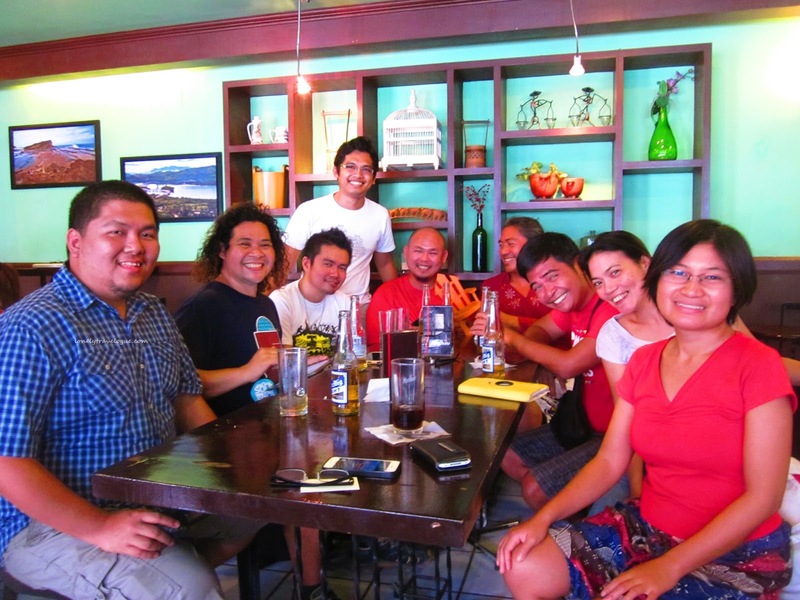 That’s what we did (not the gatecrashing) in our last day in Tacloban City, the capital of Leyte. The group of travel bloggers which we belong was invited to celebrate the 'fiesta' in Calle Z Cafe' in Independencia St., Tacloban City. Lucky enough they tag us along in the invitation. Oh how I was longing to try that famous Tacloban Lechon - a local specialty. Although I have tried some here in Manila I still wanted to taste that authentic roast pig straight from the hands of the local people. 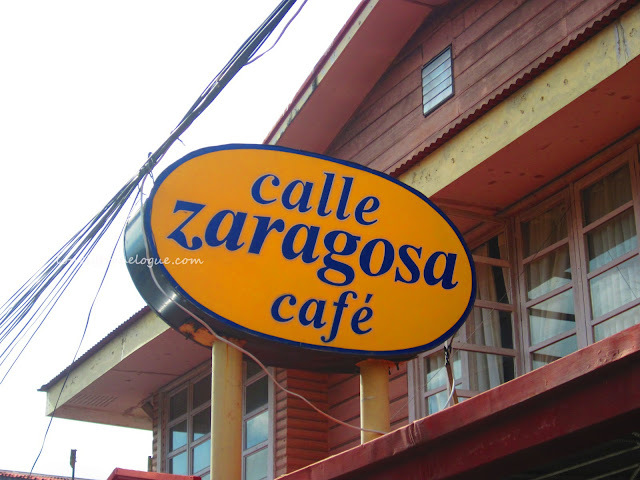 Lucky enough, again Calle Z Cafe' didn't disappoint me. There were a lot of dishes to choose from. Our host Madame Ludette wholeheartedly prepared a gastronomic amount of Filipino dishes before us. But my focus was on the lechon. Of course… Can you blame me? Hehe... Lechon is the star of every occasion in the Philippines. No wonder the famous chef Anthony Bourdain notes that we have the best lechon in the world. They said that Cebu Lechon is the best in town. They are correct. Until I tasted this one from Tacloban, I must say they actually have the same taste. To simplify - luscious meat and crispy skin. It’s aroma brought by the spices dominated by the lemongrass appetize every hungry, and not so hungry tummy. Then the owner of Paruparung Bukid arrived to join us as she was also invited by our host. Since we (Doc Nonoy, Nathalie, Claire and Glen) already agreed beforehand that we will go to Paruparong Bukid, Claire approached Ms. Helly Yap-Asoy if we could go to her place. Helly hosted Claire in the Leyte leg of her 7 weeks Visayas Backpacking. 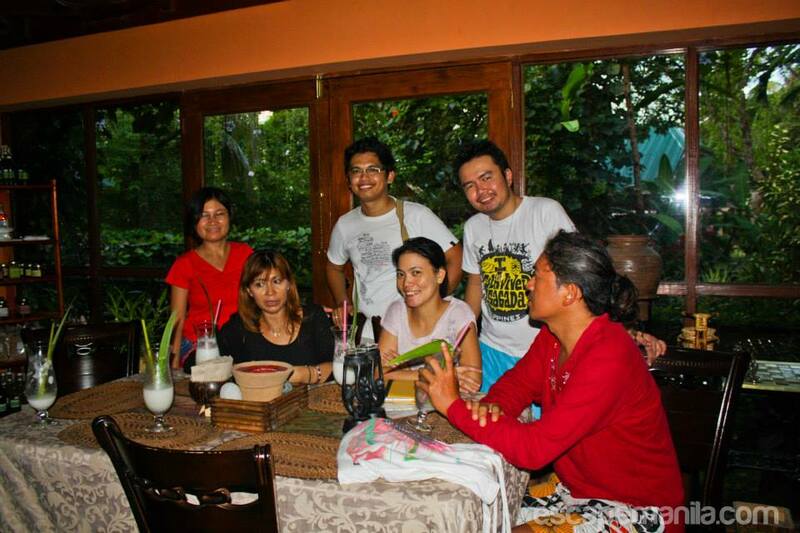 Helly, also a vegetarian, accompany us to her place - Paruparong Bukid Nature Conservation Center. 40 minutes away from the city, Paruparong Bukid is a haven for nature lovers like me. Paruparong Bukid is a paradise hiding in the banks of San Juanico Strait. The lush vegetation makes it a perfect place for those who are tired of the metro noise and pollution. It is where you will find peace protected by wild plants and cropped vegetation. A hidden sanctuary nestled by wild butterflies and other unexpected animals. I like it there. I felt that time is not moving when I was walking on the banks of the man- made pond made to feed the clientele. It was a moment where my soul once again rested on the cold fresh blow of the wind where whiff of the leaves and other organic materials dominates the paradise. It is a home for a wandering soul celebrating solitude in the middle of the mountains and the seas. There you can ponder a lot, everything under the sun. One must use the opportunity of tranquility of the Spirit speaking mystically in the form of nature. The place is built to protect life’s sacredness. Simple life is the one big statement of this paradise. Thus taking care of one’s self holistically is the main agenda of Paruparong Bukid Nature Conservation Center. Far from the busted life of the city Paruparong Bukid offers every individual to experience organic living through its program personally conducted by the owner herself - Ms. Helly Yap-Asoy. Meditation Area. No religion affinity. Just yourself and nature or Yourself and God. Helly, generous enough, allowed us to tour the place. After an hour or two of connecting to nature she treated us with an organic buko shake in the cosy dinner of Paruparong Bukid. The conversation with her leads me to realize that indeed we need to protect our body by eating the right food that will supplement nutrients to our Body. I met three persona in my Leyte trip with different reason of being a vegetarian. First of course is Doc Nonoy - a vegetarian because of his advocacy. Then Helly - because of health (along with Claire). Last is my buddy in Ormoc, Ephraim - a vegetarian because of religion. Eph is an Adventist. Does the these three reason enough for me to be a vegetarian? hehe... Maybe but I do not know. The three of them have different levels of being a vegetarian. I do not know the technical term for them. Anyway, doc Nonoy do not eat meat at all including fish and other living creatures that man can eat. While Claire eats fish and other sea foods and sometimes eat chicken (but a native one). Ehp eats chicken regardless if it is native or not. He also eats seafoods so long it has scales. So Eph do not eat crabs, shrimp and the likes. Does this means I will not eat that Lechon ever? I asked Helly if there is a program or step on how to be a vegetarian. She told me - I am the one who can answer that question. I am the master of my soul. I accepted that and prepared myself for the future. To date, I am no longer eating pork and beef. Well... congrats to me =) I am now only eating chicken meat and fish. But most of the time I opt to eat vegetables and fish. Paruparong Bukid Nature Conservation Center offers natural/organic detoxification programs apart from its nature tripping' packages which includes kayaking and just bumming with nature. For prices and complete details click here.